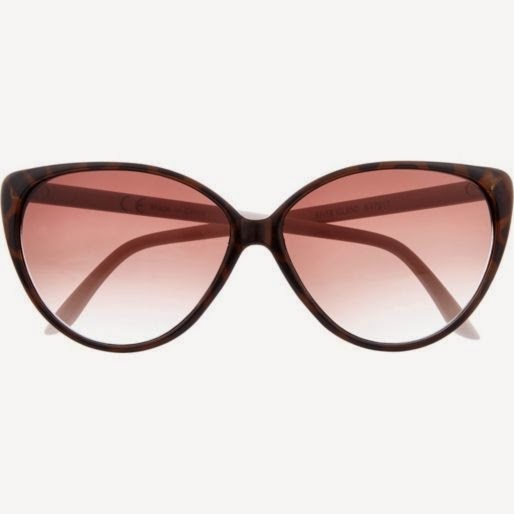 When you step outside and the sun dazzles your eyes you know it's finally time to shop for some new sunglasses. One of those summertime treats that combines luxury and necessity, fun and function - I always look forward to picking out a new pair. I've been keeping my peepers peeled for an affordable yet chic pair of cats eye sunglasses ever since I saw Chanel's pearl-encrusted offering last year, but now I've finally found some I love - and they're a steal at just £10! At that price you don't have to panic that someone will sit on them or a seagull will swoop down and steal them.